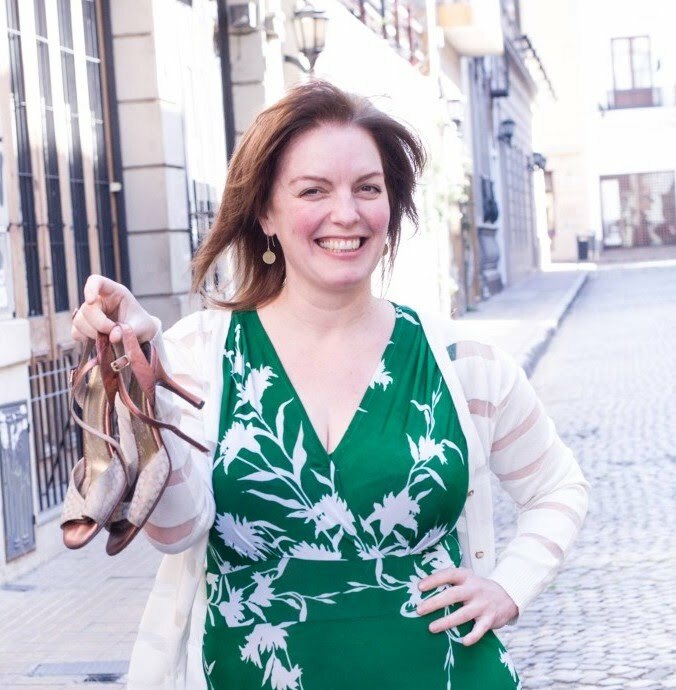 Given that yesterday was International Women's Day, it feels timely to share this post by Buenos Aires-based writer and life coach Sasha Cagen1. It explores the role and attitudes towards women / followers in tango. For me tango dancing, at its best, is like a healthy relationship: two people communing with each other, expressing themselves freely with attentiveness and respect, without restricting the freedom of the other. That's the tango I teach and choose to dance! This is an abridged version of the original post which can be viewed here. You can read more about the inspiring Sasha Cagen here. "Tango isn't a Sexist Theme Park"
This might be okay if it were true, but it isn’t true, and this mistaken belief distorts the true nature of leading and following and leads to negative effects in our dance partnerships and in our communities.So why is leading actually not more difficult? If leading is not more difficult, why does it seem to be? And what can we do to restore the balance? Because we see leading as more difficult and more important, we teach in a way that caters to leaders. Many if not most classes focus on a single piece of vocabulary, which creates a real-world situation for the leader but not for the follower. Since followers are not being challenged in the three skill areas identified above, they appear to be far more successful in class than they actually are in the real world of social dancing, reinforcing the misconception that following is easier than leading. Beginning leaders become tense and overstressed, while beginning followers become passive and understimulated. When it comes to learning and teaching lead/follow skills, the follower’s technique is a much higher priority than the leader’s. Her dancing ability, her awareness, strength, balance, use of the floor, etc. are the elements from which spring her following ability AND the leader’s leading ability. She is the beginning of the logic in the dance. In class, the followers empower the leaders to learn. Leaders judge their progress according to the results that their partners embody. Followers are the focus of the lead/follow process, and they have to follow before the leaders can lead. Do you have the courage to live a passionate life? In the old cliche 'It takes two to tango" the role of the music is ignored. The music is the ultimate leader in tango. If therefore takes three to dance tango - or four if we consider social tango dancing and the impact of others on the floor. To illustrate this relationship I like to use the analogy of the earth (leader) and moon (follower) revolving around the sun (music) and the space between (others dancers). The earth and moon both orbit around the sun. Guided by the music the leader and follower create their movement. The music enlightens and enlivens their movement. Inspired by the energy of the music the dancers respond with their unique physical expression, but always within the parameters of the music's rhythm, melody and mood. In tango a leader / follower simultaneously receives two 'pulls' - the pull of the music and that of their partner. 'Pull' here refers to a force that can suggest, open up or close off movement possibilities. The partner's pull is based on their position in space, velocity and direction. A tango dancer needs to be able to stay simultaneously connected to the the music and ones partner. S/he must find a way to synthesise both influences. From this synthesis comes the dancer's unique self expression. Failure to do so will lead to loss of connection (orbit) with either the music or partner. The dance will be incomplete. As suggested earlier, in social tango dancer there is a fourth element - the other dancers on the floor - the 'space between'. It's a very dynamic space, the presence of which can greatly impact on the dance, depending on how many 'others' there are! A dancer's moves will be constrained by other dancers. When there is no room to move forward the leader may suggest the circular, spatially economic move of a giro. The follower, aware of space limits, will keep her footwork as small as compact as possible avoiding any temptation for kicks and flicks! When space opens up on a crowded floor the leader may be irresistibly drawn to take a spatially indulgent 'caminata'2. Not wanting to get too Newtownian, this post does not intend to reduce tango to classical mechanics. Tango is so much more than objects moving in space reacting to other objects. Tango is essentially the art of connection and an act of communion. That said, to be able to dance tango soulfully and pleasurably a practical understanding of the mechanics of tango is an essential prerequisite. 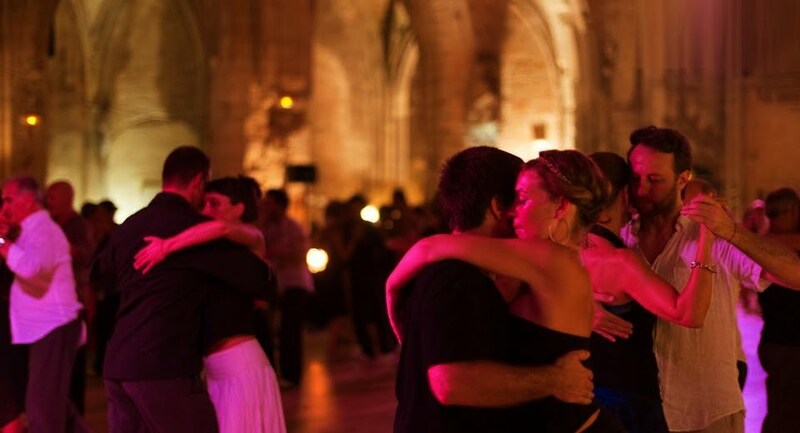 In tango there is a complex alchemical interplay between leader and follower connecting and communing with the music and the other. From this alchemy the dynamism and magic of tango is forged! Sharing this article which caught my eye today. Why is Argentine tango so popular? Tango is like playing chess, having a work-out, being on a date, travelling through space and time, discovering a foreign culture, going to a concert, and exploring one's creativity... all at the same time. Does it sound complicated? Some may be surprised to read however, that it is much less complicated in the inside than it looks like on the outside - to summarise how it feels in just a few words, it is best described as having a warm conversation with very close friends. The biggest misconception in tango is that the man 'decides' and the lady 'executes' - in fact, the man's role is to make the lady shine on the dance floor, so all his attention is put towards this goal. It is therefore a truly selfless act. Tango being a partners' dance, it involves a leader (usually the man), and a follower (usually the lady). So, what does dancing tango mean for each of them? The leader's main responsibility is to listen to the music and plan steps according to the emotions the music stirs in him. As tango maestros put it: "Music goes in my ears, is filtered through my heart, and comes out through my feet". It is said that when talking, unspoken body signs are at least as important as what is actually being said. In tango, communication goes 100% through one's body. The leader will therefore engage into a warm 'conversation' (using figures) with his partner. The impression he is also playing chess comes from the fact his environment is constantly changing: other couples are moving, music is accelerating, his partner did not understand his latest step, and so on. So, he needs to constantly adapt. This is why gentlemen in management positions (or wanting to develop their management skills) love tango so much: it is the ultimate test for them. Being decisive, innovative, clear, and all this while being gentle and inspirational. Sounds familiar? Her role is far from being easier than his: she needs to listen carefully and understand the steps planned by the leader. For this to happen, she needs to be quick to respond, fully concentrated, and to trust her leader completely - or 'surrender' as some put it. She also needs to be 'light' (without trying to second guess what the leader is up to). But that is not all: if she barely executes the steps without interpreting them, it will soon become a bit dull. Thus, she needs to put all her heart and creativity, bring her own personality to the table and fuel the conversation, inspire her partner and contribute to the dialogue. So that, if a step is lead twice, the outcome never looks the same. As tango maestros put it, "The woman is not just a follower, she is to whom the tango is dedicated". How does she do that? Adornments ("adornos" in Spanish - these little movements used to embellish the lady's dance) are amongst the most important part of the follower's arsenal to express herself. They need to be precise, quick, in tune with the music and the lead, without getting in the way of what the leader has planned. As Nathalie, the founder of Tanguito, an Argentine tango school in Angel argues, they need to say something: "When drawing a lapiz (circle on the floor), mean it. When rubbing your foot against the leader's leg, mean it. There's nothing worse than half baked adornos, thrown in hastily just for the sake of it". A good follower is therefore someone who inspires the tango dialogue, with style, personality and technique. While both roles appear very different, they share one thing in common: respect. Respect of oneself, of one's partner and of the dance floor. That means to forgive these parts of the tango 'conversation' that don't feel right, and show consideration to the other couples dancing around. That also includes showing respect to the music: in other words, to resist the temptation of throwing in impressive moves regardless of the tune. When all these ingredients are put together, it creates an exhilarating feeling of freedom and togetherness. Because Argentine tango is so rewarding, it now attracts a new crowd to the dance. 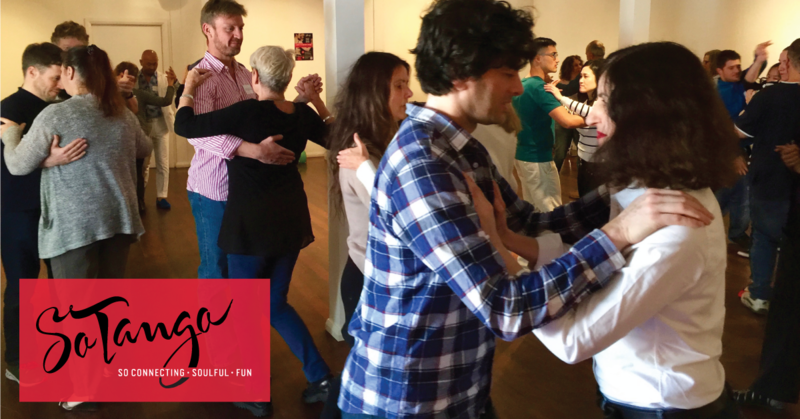 Young urban professionals are increasingly drawn to tango, and are often surprised to discover that tango helps them bring out the best of themselves - because tango relentlessly questions and challenges. In her group tango classes in London, Nathalie encourages both men and women to try leading and following. It's not surprising that this is how tango has always been transmitted, as you can never better understand your partner than when you've experienced things from their perspective. Reproducing this article in its entirety, as links tend to get lost in cyberspace over time.